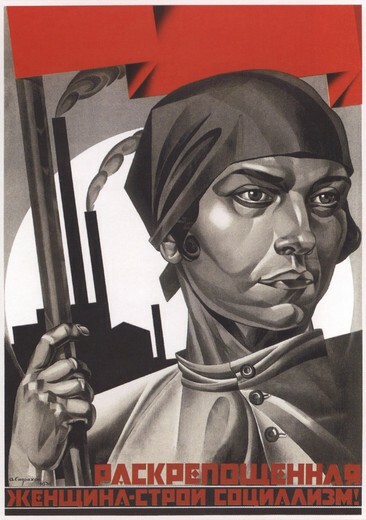 First of all, on behalf of the International Conference of Marxist-Leninist Parties and Organisations (CIPOML) we would like to thank the Workers’ Communist Party of France (PCOF), one of the founding members of our conference, for the invitation to this international event on the centenary of the October Revolution. We would also like to congratulate the Central Committee of PCOF and its members and sympathisers for working really hard to organising this successful event. Thanks to comrades from PCOF we are gathered here to celebrate – almost to the day – the 100th anniversary of the Great October Revolution in this historical city where the Paris Communards had written their famous history as if to “conquer the sky”. Yes, history brings together! Not just in general but also in its special meaning here: because we know that there is a special path that leads from the Commune to the Soviets. Although they (the Commune to the Soviets) are identical in terms of working class establishing their own rule, the October Revolution is different in that it picked the red flag that had fallen on the streets of this city and thrust it in to the bosom of a whole century. October Revolution undoubtedly includes the Commune – just like today includes yesterday; but having learnt from its experiences, it represents something beyond it, something more advanced. To recall briefly: exactly a 100 years ago in October 1917, millions of workers and peasants took to the stage of history again to take the decisions regarding their own future into their own hands. As an instrument of struggle and uprising of millions, the Soviets took full power and became the vehicle for their own rule, and in the form of Soviets the rule of the working class was declared. With this colossal step, a new epoch began, the epoch of imperialism and the proletarian revolutions for which the October Revolution blew the horn. The socialist system and the rotten capitalist system would now confront each other starting with this step. The national question would cease to be a fight for markets among the bourgeoisie of different nations and be transformed into the question of liberation of oppressed nations and peoples from imperialism. October Revolution is not just a national revolution; it is the first thrust of an international proletarian revolution. Its general principles regarding theoretical, tactical and organisational practice are universal. For this reason, the October Revolution did not only spread to Russia but, starting with Europe, shook the whole world, awakening the masses, providing workers and peasants a path to follow. Communist parties and workers’ organisations became stronger in almost all countries, new ones were established in many others. Europe as a whole was shaken by struggles for revolutions; despite their defeat, uprisings in Finland, Hungary, Germany, Austria, Czechoslovakia, even as far as Torino-Italy, and finally Bulgaria followed one another. Bourgeois national liberation movements in China, Turkey and Afghanistan were influenced directly from the Soviet Russia. Russia was a backward country, but the revolution broke out there, because it was the point where all contradictions of the imperialist capitalist system were knotted. It was the weakest link in the chain. The start of the proletarian revolution in a backward country did not prevent it from being a model for the whole world and especially for the working class. First of all, the October Revolution demonstrated the indispensability of a Marxist-Leninist Party as the vanguard of the working class, equipped with revolutionary theory and a correct programme, rooted inside the exploited masses, and taking a role to enhance their consciousness and organisational abilities. It also demonstrated that without mass organisations of the Soviets/assemblies as the vehicle of struggle and for power, the working class cannot organise as the ruling class, and that mass organisations are indispensable in guiding the masses towards a target. October Revolution also highlighted a fundamental principal: All real revolutions are the work of the masses! Undoubtedly, one can talk about many other lessons. But with your permission, we would like to use this opportunity to focus on the place of the October Revolution for the present struggle of the international working class. Painful as it is, reality is that the historical process that started with the October Revolution ended in a temporary defeat of the working class. At first glance, this might seem like another parallel between the Paris Commune and the October Revolution. But, only at the first glance! There are important differences between the two defeats both in terms of scope and impact, as well as how they transpired. Different from the Paris Commune, the proletarian socialism which was established following the October Revolution was defeated as a result of a veiled and insidious process of deformation led by modern revisionism that kicked in at a certain stage of its development. The ideological-political platform of this process, which led to the restoration of capitalism, took shape at the 20th Congress of the USSR in 1956. From then on, it gained dynamism in line with its own logic, and began to penetrate into the party and the working class, and into Soviet society in general. One could ask why this difference is important in today’s conditions. It is an important differentiation, because it explains why the defeat we were faced with had such devastating effects. Bourgeois propaganda claimed that this defeat, because of its characteristics, was due to the structural defects of socialism, and managed to disguise the active, destructive role of imperialism and the world reactionary forces. And most importantly, because the consciousness and the drive to struggle of the leading and live forces of the international working class were blunted by the process of deformation led by modern revisionism, the capacity of a significant section of these forces to resist and repel what was happening, under the conditions where the defeat made itself obvious, had been destroyed to a great extent. In short, unlike the Paris Commune, this defeat deeply undermined the self-confidence of the working class, narrowed its vision and took away its dream to create a new world, even though temporarily. As you know, this speech is made in the name of CIPOML. We would like to remind that one characteristic that distinguishes CIPOML is that it was established by parties and organisations which fought against modern revisionism at the time and came out of that struggle. For this reason, it is not a coincidence that soon after the period of 1989/91 when the Soviet Union openly collapsed and the gloomy counter-revolutionary propaganda of “socialism is history” was spread around the world, when monopolist bourgeoisie and imperialism started their great offensive against international working class, together with our fraternal party PCOF we took a step forward and established the CIPOML. The reason for stating this historical fact here is beyond emphasising the existence of revolutionary focal point of the international working class. What we want to underline is the need to distinguish between the forms and the reasons of the historical defeat of the working class. In fact, this emphasis is a call to workers’ and trade union leaders, principled intellectuals, fighting women and youth. Yes, this emphasis is a call to break away from the limitations of actuality and to have a historical perspective when approaching current social problems of the capitalist society we live in, problems such as unemployment, poverty, struggle to earn a living, problems with shelter, health and education, racism, nationalism, armament and wars, women’s issues, destruction of the environment, inequality, insecurity, etc. Undoubtedly, they all are chronic problems of capitalism, hence they cannot be removed from our lives unless the system itself which creates them, and its relations of production are abolished. Yes, the defeat is undeniable; nevertheless, can anyone claim that this defeat makes the defeated or their humanly-social aspirations meaningless? Could anyone suggest that workers are no longer the ones who create the material world? A world without oppression and slavery, without class differences, inequalities or uncertain futures, a society of humanity and solidarity… could it be claimed that these eternal aspirations of the oppressed classes lost their meaning with this defeat? This is impossible, because the material relations and conflicts of the capitalist system that stimulate these aspirations continue to exist, even reaching a more desperate and unbearable magnitude compared to the period before the defeat. The course of events, persistently brings us together with history: it is 100 years since the October Revolution, a whole century. But the capitalist world of today is busy trying to recreate the world in the image of pre-1917, as if this great revolution did not take place! Social contradictions are growing; democratic gains are cut back; racism is spreading; nationalist and fascistic tendencies are on the rise; the arms race has reached astronomical levels; wars and mass migration are deepening; inter-imperialist competition and fight for hegemony is escalating; concerns of another World War is mounting. Let’s assume, for a moment, that everything is as portrayed by bourgeois propaganda: let’s say the October Revolution is a “deviation from history”, a “tragic accident”, or “useless efforts of daydreaming revolutionaries”! How, then, do we explain the capitalist world today, reminiscent of pre-1917 situation? Is it possible to overcome chronic problems of capitalism without an October Revolution, i.e. without workers creating and strengthening their own mass organisations, without developing their independent politics or uniting and coordinating their struggle through their own party, in short, without stepping up to the stage of history as an independent political power, taking their future into their own hands? The course of the world is clear; but what are the workers, labourers, peasants and youth going to do? Will they believe in bourgeoisie and throttle each other again? Will they be the foot-soldiers of subjugation of other nations? 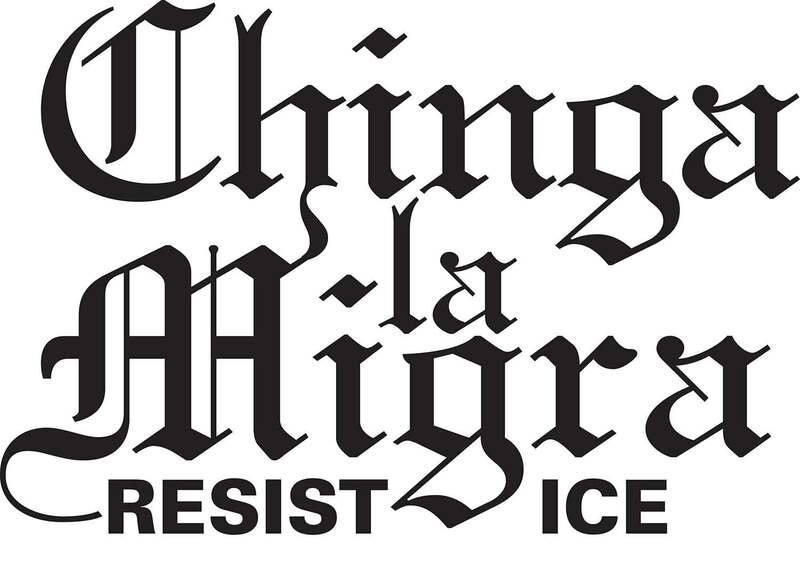 And more importantly, the progressive workers and trade unionists who see where these events lead to, intellectuals who did not sever their ties with society, advanced sections of youth and women, what are they going to do? Will they demolish the ideological barriers built on the foundations of the great defeat by bourgeois propaganda, blend their responsibility to future generations with historical consciousness and lunge forward with increased self-confidence and renewed energy? Or, will they tail behind the utopian projects that reproduce these ideological barriers, ranging from “21st century socialism” to “radical democracy”, with a common thread of “socialism without revolution”, which are based on the refusal of clear class reality of capitalism and its irreconcilable contradictions. When we say that “the October Revolution is relevant today”, we do not say it to satisfy or deceive ourselves. On the contrary, we are talking about a self-imposition of a historical path and method determined both by the nature and the social resolution of concrete and irreconcilable contradictions of the capitalist world of our day. What makes us ask these questions is the course of events and the reality of the capitalist world today! And the key to the correct answers to these questions is in the October Revolution, in its rich experiences, in its victory and failures. What made October Revolution possible was an accumulation of many factors. But it should be stressed that the revolution would not have been possible without the Soviets, the struggle and insurrection organs which then transformed into the organs of political power, and without the Bolshevik Party, deep rooted within the working class. In terms of these two fundamental factors, it is clear that we are still at the beginning of the road we need to travel. Nevertheless, we are not starting from scratch. Besides everything else, we have great historical experiences of the workers’ and the communist movement to base ourselves on. And it is obvious that the way to make this historical experience to be internalised is to unite it with the problems and experiences of the class struggles of our day. 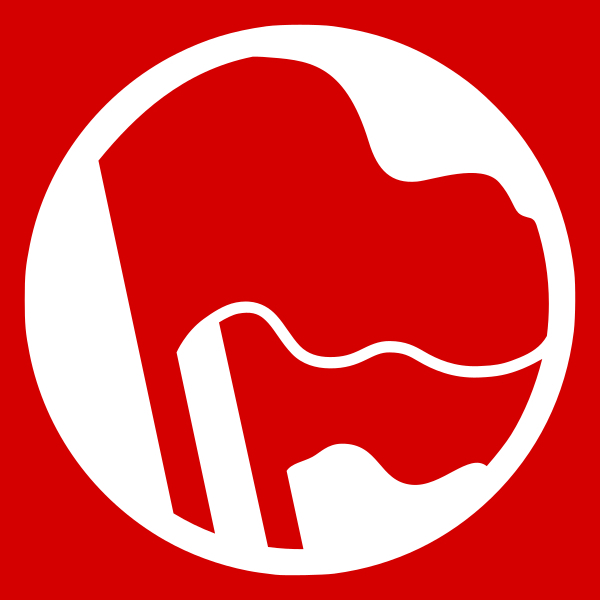 We, the parties and organisations of the CIPOML, are aware that we cannot adequately carry out our duties without taking root among the working class, actively taking a leading role in developing their own movement and struggle, and uniting workers’ and labourers’ own experiences of struggle with historical accumulation of experience of the international working class. For this reason, and especially under our present conditions, it is one of our immediate tasks that communists and class conscious workers unite with the broadest sections of the working class, play an advanced role in their organisation and education, and our parties and organisations take the initiative to form alliances, starting from the base and the localities, which could serve the unity of broad sections of workers and working people. At the same time, as a necessity of these duties, CIPOML holds annual regional and general conferences, and publishes the journal Unity and Struggle twice a year, also producing special editions, in different languages, declares our position on current developments in a way to serve the interest of the working class; organises and takes part in the struggles of workers and trade unions, in women’s movement, youth camps and anti-war struggles. Celebration of the 100th anniversary of the October Revolution on all continents; organising special meetings and conferences on this subject in all countries we are represented in; sharing its historical meaning and the experience it embodies with workers and labourers through printed and visual media; we see and undertake all these as a requirement of our current duties – just like the celebration of the October Revolution, organised by our fraternal party PCOF, here in Paris, at the centre of a continent that witnessed big upheavals, next to the Communards. At a time where the world is moving towards harsher struggles, the importance of activities carried out with an international spirit increase; solidarity between the working class and its parties, and sharing of experiences as part of this become more urgent. We are realistic and see that the working class, its parties and revolutionary forces are faced with big calamities and hardships that need to be overcome in terms of increasing our abilities, capacity and opportunities to face the tough conditions of struggle to come. However, communists are equipped with a distinct feeling of responsibility and consciousness towards history. Temporary defeats, hardships and inadequacies cannot intimidate them. On the contrary, to overcome these, they will review their actions and, if necessary, be self-critical to arrive at conclusions that will renew their energy to fulfil their historical responsibilities. And they are optimistic in this respect!